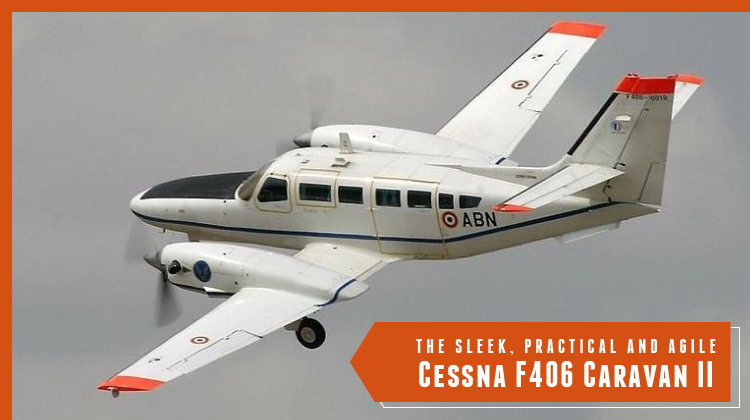 If you’ll need to hop on an agile and short range aircraft, the Cessna F406 Caravan II is what you’re certainly looking for. This plane has Short Take Off and Landing (STOL) capabilities, thus you’ll have more choices of airports to fly from or land to. Perhaps you might be looking to depart from or arrive at more secluded locations. Or you may also be planning to reach airports which are nearest to your intended location. Either way, chartering for the Cessna F406 Caravan II should do the trick. One standard feature which the Cessna F406 Caravan II also has, would be its WiFi connection. With internet access, you can keep in touch with your friends, family and professional networks. Should you also be traveling for business purposes, you can use the plane’s WiFi to coordinate with your team via instant messages. You may even use an app to check on the progress of your projects. To make the most of your trip, it would always be best to confirm the plane’s exact features with your operator. Know more about the specifications of the Cessna F406 Caravan II, and charter for your very own private flight today. Throughout an hour of your trip of so, you’ll be experiencing comfort, enjoyment and convenience on board the Cessna F406 Caravan II. It has the facilities for you to prepare your snacks and drinks, so you’ll have an even more enjoyable flight. Most units of this aircraft model has a lavatory at its rear, to ensure passenger comfort. The Cessna F406 Caravan II’s short range and Short Take Off and Landing (STOL) capacities can provide you with perks in sightseeing. Throughout your trip, it allows for you to enjoy the aerial views which you’ll fly over. With any purpose you may have on your trip, you’ll be sure to have a breather and relax throughout your private flight on the plane. If you’re flying from Toronto, Canada, you can reach as far as Newfoundland and Labrador, Saskatchewan or even Taxes, USA. Will you happen to max out the range of your ride on board this aircraft? Then it would be advisable for you to confirm its allowable passenger count and baggage load from the operator. Generally, you can reach farther destinations at much faster paces with a lighter plane. Manufactured via a collaboration between American company Cessna and France-based Reims Aviation, the Cessna F406 Caravan II took on its first flight in 1983. This aircraft has a limited number of units which were produced and roughly 99 planes are being flown all around the world. It has about 12 operators from 7 countries, and the plane serves various purposes from pollution detection, maritime patrols to monitoring fishing projects.